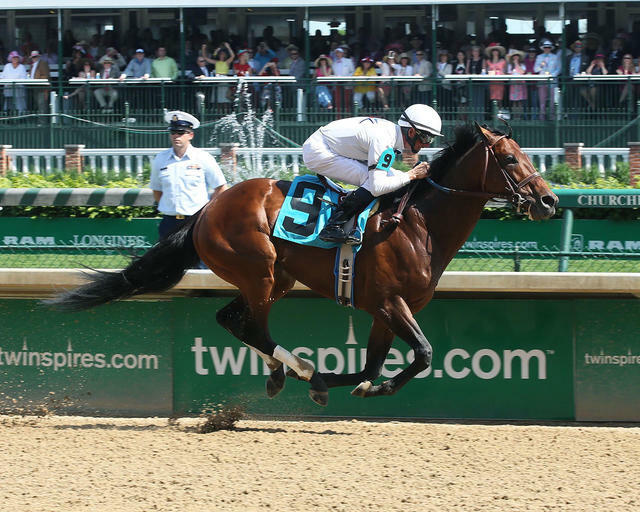 LOUISVILLE, Ky. (Friday, May 6, 2016) – Gallant Stables’ 8-year-old Majestic Harbor emerged from a three-way scramble at the three-sixteenths pole to become the oldest winner of the $400,000 Alysheba Presented by TwinSpires.com (GII) for 4-year-olds and up. Trained by Paul McGee and ridden by Corey Lanerie, Majestic Harbor won by 2 ½ lengths over Eagle in covering the mile and a sixteenth on a fast track in 1:43.10 in the 13th running of the race. Cat Burglar, ridden by Gary Stevens, led the field of eight through fractions of :24.26 and :48.45 while on an uncontested lead. On the far turn, Majestic Affair and Majestic Harbor loomed up on Cat Burglar’s outside and the trio raced as team into the stretch. Cat Burglar yielded first and at the eighth pole Majestic Harbor spurted clear of Majestic Affair and was not threatened in the run to the wire. The victory was worth $240,560 and increased Majestic Harbor’s earnings to $1,246,814 with a record of 41-10-8-6. Majestic Harbor is a Kentucky-bred son of Rockport Harbor out of the French Deputy mare Champagne Royale. Majestic Harbor rewarded his backers with mutuels of $28.80, $10 and $5.40. Eagle, ridden by Brian Hernandez Jr., returned $4 and $3 with Majestic Affair finishing third a neck back under Javier Castellano and paying $4.40 to show. It was another length back to Cat Burglar, who was followed in order by Departing, Top Billing, Natchez and favored Noble Bird. 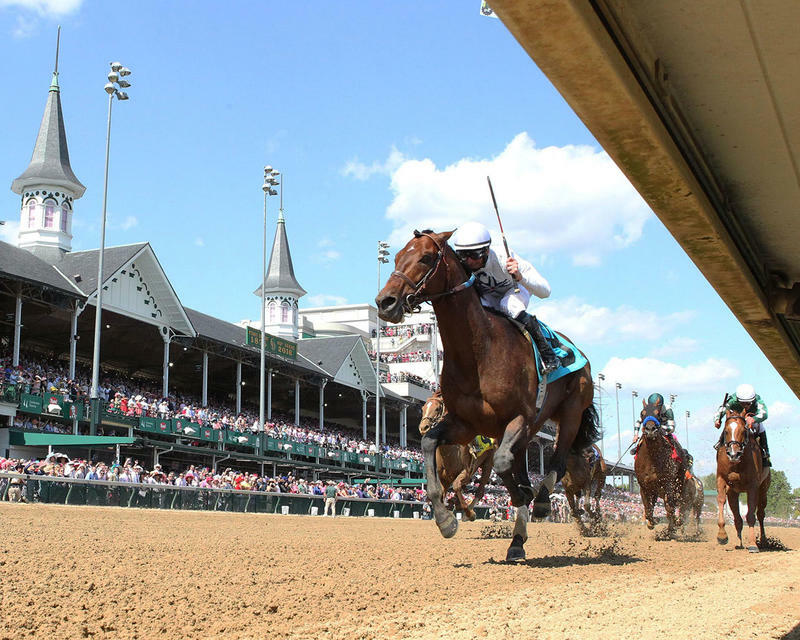 Q: Will he run in the (June 18) Stephen Foster (GI)? Javier Castellano (rider of Majestic Affair, third-place finisher) – "It was a perfect trip. 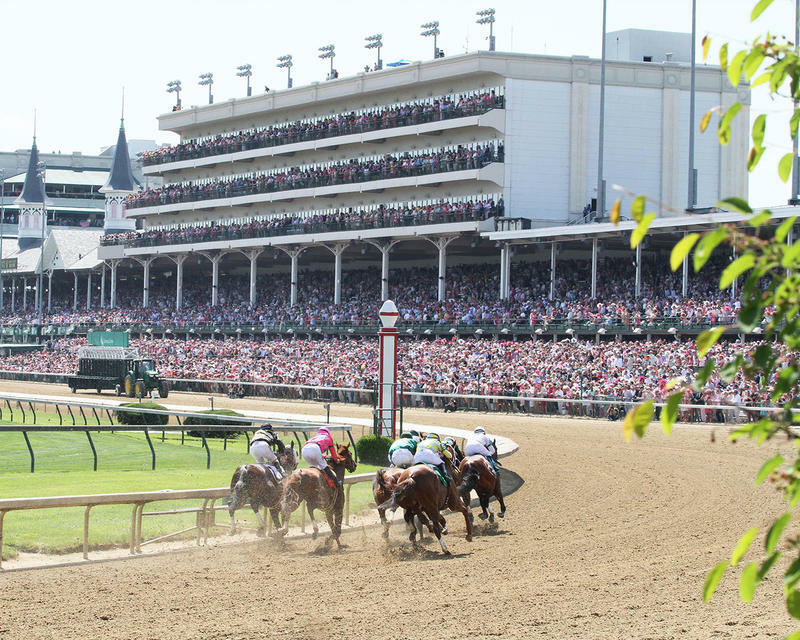 I wish we could have finished second, but we were nailed at the wire." 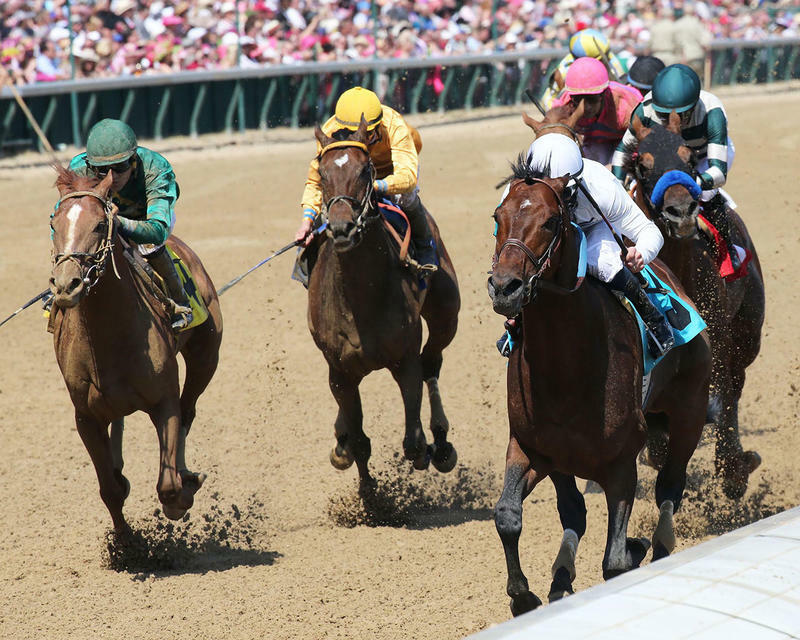 Chad Brown (trainer of Majestic Affair, third-place finisher) – "I think he ran great. He showed a lot of heart there, still fighting in the lane. Unfortunately, he got nosed for second, but I 'm really proud of this horse's effort. I think he is a better horse going long. We'll see how he bounces out of this and make plans."